We’ve been very fortunate that all we had was a day (or two) a week of my dad and a day a week of my mother in law minding Daniel when I went back to work part time. My dad in particular, because he had so little experience with young children, was very happy to be child led and even co-slept Daniel’s nap with him. Rory has one day in daycare each week and we picked a daycare setting on personal recommendations and one that had as natural approach as possible, again with plenty of outside play and no TVs in the rooms etc. 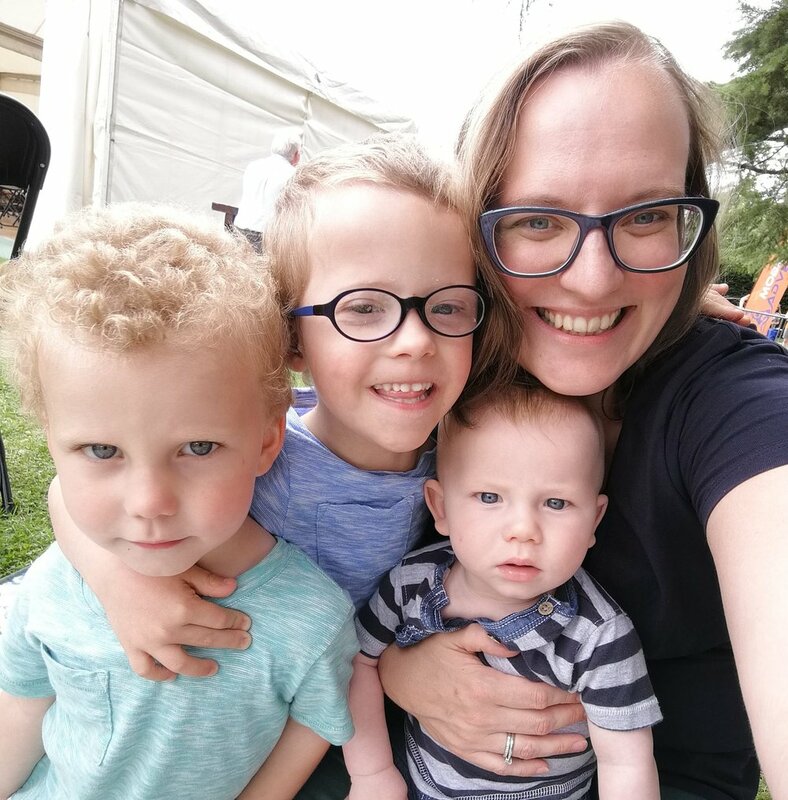 We then decided to wait until Daniel was 3.5 years old before we sent him to playgroup (instead of the usual 2 years 10 months) as he wasn’t ready. Once we went down the school route we have made choices that matched our parenting style as best we could. For playgroup we found a fantastic playgroup on a friend’s recommendation that has the most holistic approach to early education, gentle approaches, small numbers in the class and lots of physical play. We had been to see one other that we felt very uncomfortable with but which was much more convenient to our home and we are so thankful we chose the better environment rather than the more convenient option. For nursery, likewise, we found a school that promoted a kind and welcoming environment for children to learn it and one that had no punishment based behaviour policies. We knew of other nurseries in the area which had a reputation for being strict, or had the black cloud or time outs for behaviour management and that wasn’t for us. Thankfully our closest primary school is also a great, play based learning environment and was very welcoming given Daniel's extra needs so we had no difficulty making the choice to go there. You'd think these things would be simple but we phoned one local school to arrange a meeting and it became very clear that we were not welcome there. Our situation is a bit different to most, I get that, but it is important that you ask the questions that are important to you and trust your gut with the decision of where to send your kids to school. Key to your home being consistent is being consistent yourself. And that’s where the pipe dream ends. When you’re tired because the kids have been up lots overnight, or you’ve got pregnancy insomnia (someone else tell me this happens them?!). When you’re not feeling great yourself but mums don’t get days off so you’ve got to keep at the childcare. Or when you’re having an easily-triggered-by-naggy-kids day. It’s really hard to react the same way you would on the well rested, sun is shining, life is good kind of day. The best thing I’ve found is telling the boys that mummy is tired, or not feeling well and apologising for the fact I’m grumpier than normal. We try and keep homelife as regular as possible too. This isn’t always possible – we have just had a difficult season with Colin’s dad being in hospital and then the hospice for most of the period from mid-May to beginning of October. There were weeks when Colin spent a lot of time at the hospice and I was in the early stages of pregnancy so was tired and sick and it was really tough. I think in seasons like that all you can do is give yourself lots of grace. Consistency is hard when there’s lots of other stuff going on in your life. This is where the daily and weekly anchors in your day (we talked about this on Day 7 here) will help keep consistency, even if there is some upheaval in the day to day.